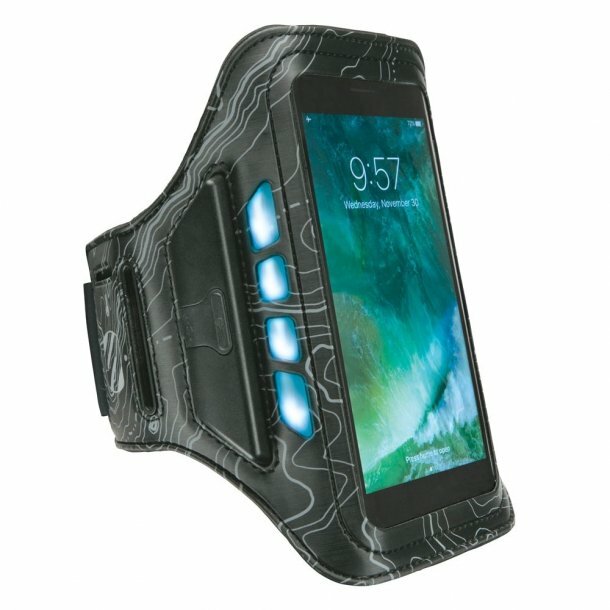 The litFIT™ keeps your smartphone safely attached to your arm while you run, bike, workout and more. With the built-in LED, you'll be much more visible in darker lights, making your exercise much safer. The adjustable neoprene armband comfortably fits small and large arms and is extremely lightweight. Openings allow for headphones and other cables to be plugged into your device while it stays protected. These built-in LEDs give you Ultra High Visibility from dusk to dawn, keeping you safe from other elements on the road! Built-in screen protection keeps the fragile glass on the front of your Smartphone from getting damaged. This screen protector allows you to fully operate your touchscreen controls while your device remains fully protected. Reflective accents let you run safely at night or in cloudy weather. An integrated key slot allows you to conveniently store small items while you workout.